Emmanuel Mario keeps moving. The further he travels, the more he sounds like someone who has finally arrived where he has always been supposed to be. 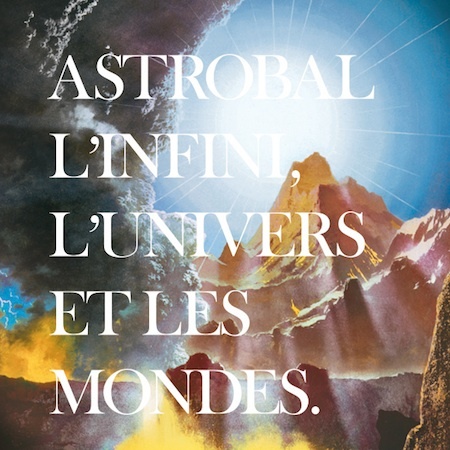 After collaborations with artists like Stereolab’s Laetitia Sadier or the group Holden, his last album as Astrobal took the French composer and drummer to »Australasie« in 2016. On his second LP for the Berlin-based Karaoke Kalk, he ventures even further, eventually heading for »L’infini, l’Univers et les Mondes« – infinity, the universe and the worlds. Leaving behind the more krautrock-inspired approach he followed on »Australasie«, Astrobal focuses on a way of storytelling that takes conventional pop songwriting as a point of departure, yet arrives in previously unknown places. Over the course of eleven songs, the multi-instrumentalist further perfects his craft of life-affirming, funk-infused synth pop. Drawing on the work of pioneers like Brian Eno or Yellow Magic Orchestra, 80s electronic funk music and blue-eyed soul, shoegaze and the rich tradition of progressive music and kosmische in his native France, »L’infini, l’Univers et les Mondes« indicates a major development in Mario’s futuristic and decidedly cosmic approach to songwriting. At the heart of the »French psychedelic new age pop for the world«, as he himself has dubbed his sound, always sits a rhythmic idea – an irresistible groove that is being complimented with intricate synthesizer harmonies and bouncing bass lines. In the meanwhile, Mario’s voice is drifting over the tightly woven compositions as if in zero gravity. Not quite lonely, intimate yet far away, occasionally in conversation with robots and other inhabitants of outer space he comes across on his journey. As a coherent narrative, »L’infini, l’Univers et les Mondes« tells a story of extraterrestrial excursions. As a musical statement however, it sees Astrobal coming home after more than two decades in the world of music, finding a niche for himself with a style that is as adventurous as it is thrilling.